Susan Armstrong has lived in Richmond for over 25 years, attended Holy Trinity Richmond for over 20 and been a Christian since age 15. She taught secondary science and maths, in school and in alternative provision; provided 16-18 learning support; spent time at home bringing up children; works currently in administration of adult social care. Her 3 sons attended Christ’s school. Inspired by faith and depending on the grace of God, Susan has served in youth & children’s groups in church, in relationships education and in her second term as a Foundation governor. Our precious students need the best education we can create to meet the challenges life will offer. Graham Bamping has lived in Richmond for 22 years, and worships regularly at Holy Trinity Church, Richmond, one of the Foundation parishes of the school. 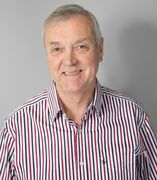 He has worked in the investment management business for 39 years, both in London and elsewhere. 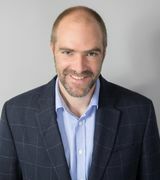 Graham serves as a board member of a number of investment management companies and has more than 16 years experience in such oversight and governance roles. He holds an MA (honours) degree from the University of Cambridge, and believes strongly in the ability of education to foster social mobility and change lives. Susan Bourne recently retired as Head of Redcliffe School, an independent primary school in central London having spent her career in teaching following her Chemistry degree from Manchester University. She has taught in a range of State and Independent schools across both the primary and secondary age range. Susan is a long-term resident of Richmond and has three adult daughters. She attends St Mary Magdalene Church in Richmond and has a passion for ensuring that the appropriate support and educational opportunities are available to all. Peter Cregeen has lived in the area of Richmond for the last 50 years. He and his wife Carole have 4 children and 8 grandchildren. For most of his life he was a Television Producer and Director working in Drama across the BBC and ITV. For 5 years he was Head Of Drama Series at the BBC. In recent years he has taught at a number of Drama Schools and examined for Trinity in Drama and Speech. He is currently on the Boards of the Museum of Richmond, Arts Richmond, and on the Church Committee of St Mary Magdalene. Hugh Dunlop is an experienced, semi-retired science teacher. He has been a Director of science faculties in a wide range of state, private and international schools, and is now a private tutor in all sciences (up to A level) and mathematics. He is also a part-time science lecturer, and is both a Chartered Physicist and a Chartered Chemist. He has been a Director of a Senior Academy and a Chairman of Governors at a local school. As a Governor at Christ’s School, he has a special interest in science and mathematics education. He actively supports school events. 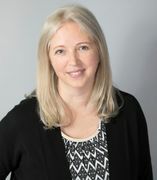 Fay Johnstone was appointed a foundation governor in October 2018, representing the Richmond Team Ministry. She has lived in and around Richmond for most of her life, and attended school in the borough. Fay has a BSc(Hons) degree in Psychology from The Open University, and is a Chartered Fellow of the Chartered Institute of Personnel & Development. Fay is currently Head of HR at the Royal College of Anaesthetists, having spent over 25 years leading and managing HR functions in both the private and not-for-profit sectors, including in social research, social housing, further education, real estate and FM consultancy, travel and defence research. Fay has worshipped and sung in the choir at St Mary Magdalene for over 40 years, and occasionally deputises for the Director of Music. Fay has previously been a foundation governor at a junior/primary school in the borough. 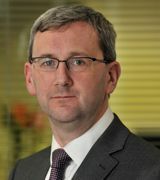 Steven Lowry is a parent governor, elected in February 2017. He has three children, two of whom are at Christ's while his third attends The Queens Church of England School, Kew. He has lived in Kew for 11 years and is also a Trustee of a local children's charity. He is a Chartered Accountant by training but now works in investment management with a focus on infrastructure private equity. He is a believer in opportunities for all, and enjoys sport, cinema and travel. Caroline Pusey Caroline Pusey has been a Local Authority governor at Christ's since the summer of 2017. She has lived in Kew for over 10 years and her children, currently 8 and 6, attend a local primary school. She enjoys supporting her local community and has a strong commitment to seeking to ensure access to high quality education for all. Professionally she has degrees in International Relations from Birmingham and Aberystwyth and has worked for over 20 years in central government in a large variety of roles, the majority of which have been in the Ministry of Defence. She has worked in a job-share partnership for over 7 years and her current role is in the Department for Education where she leads work associated with the recruitment and retention of teachers. The Revd Wilma Roest moved to Richmond in 2016 to be the new Team Rector of the Richmond Team Ministry and Vicar of St Mary Magdalene. An aspect of that role is to be governor at Christ’s School, which Wilma greatly enjoys. Wilma has a background in musicology (University of Utrecht) and education (teacher and teacher governor in various state primary school). She was ordained in 1999 and has since served in various Church of England parishes in South London. Wilma is passionate about the ethos of Christ’s School and its connections with the local community. In her free time Wilma enjoys travelling, snorkelling and underwater photography, and the occasional very slow run in Richmond Park. Phil Rushby is a foundation governor representing the Richmond Team Ministry. He has lived in Richmond for more than 15 years, worships regularly at St Mary Magdalene Church in central Richmond and has 4 children at local schools, including Christ's. He holds a degree in Economics from the LSE and has worked in a variety of senior finance roles in the consumer goods industry in London, Asia and the Middle East. He is passionate about sport, especially running, with Richmond Parkrun being a weekly ritual for all his family. In addition, he has a keen interest in education and enjoys an occasional indulgence in wine, music and travel. 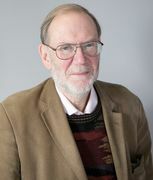 Peter Sharp entered teaching in 2004 having studied sciences at Cambridge and Imperial. He has taught science in a number of schools (state and private) and is currently Director of Teaching and Learning at Westminster School. He moved to Twickenham five years ago and he and his wife attend St Mary Magdalene Church in Richmond where he learnt about Christ’s School. He has particular interests in teaching & learning, the professional development of teachers and life-long learning. Maxine Shaw is a parent governor. Rowan Woodward is a parent governor with 2 children at the school. She has been a governor at Christ's for 7 years and before that, was a governor for 8 years at her children's local primary school, Marshgate Primary. She has lived locally in Richmond for nearly 20 years. 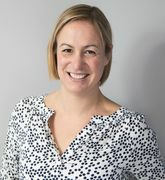 Her professional background includes a degree in Production Engineering and Management from Loughborough University and a career in computer programming and business systems implementation at one of the top 10 consulting firms. She currently runs a local bookkeeping business. She is passionate about education and strongly believes in supporting her local community. She enjoys travelling and has a life-long love for Gymnastics.